$265. 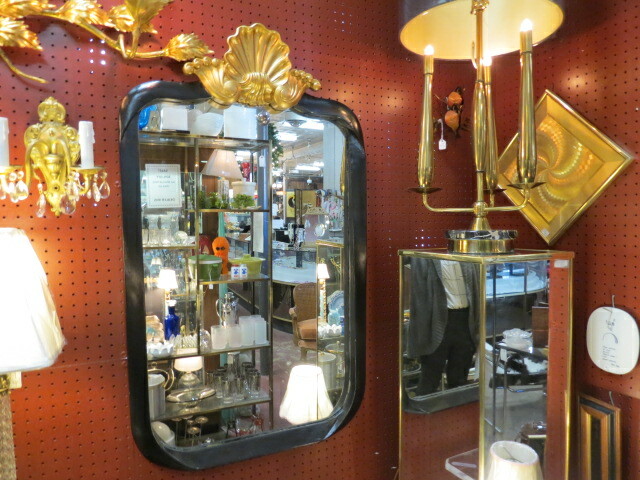 Vintage antique carved black and gold shell mirror, c. 1960. Rounded, carved black ebonized frame. Topped with a large gold shell design. Striking! Perfect for a bathroom, bedroom, entry, living room or dining room. Very good condition. 25in wide, 44in tall, 2in deep.